A very fun and easy project, you can keep these little trees quite simple or embellish them to your heart's delight! 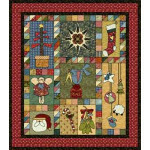 The blocks are very, very easy to appliqué, so this is a perfect project for beginners. 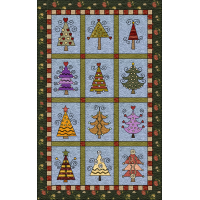 And if you are looking for a little more of a challenge, pull out your embroidery threads, buttons, beads and other embellishments and decorate each tree to suit your whim! 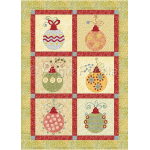 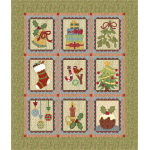 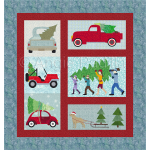 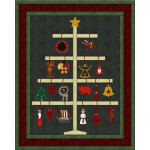 Finished size: 26 x 41"
This little pattern allows you lots of room to pick and choose from your favorite Christmas fabrics .. 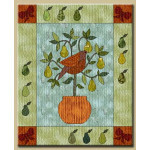 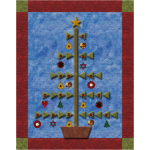 This little paper-pieced wall hanging is suitable not only for the entire winter season, but all yea.. 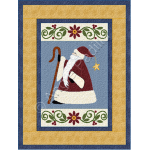 The scalloped borders around each block make of this Christmas sampler an elegant and romantic wall ..
For lovers of all things vintage, this old world Santa will be a delight to sew! 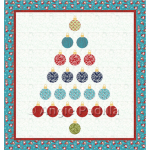 Finished size: ..